I've actually been sewing pretty regularly for a few years, but finally took the plunge to start a blog. I've had a papercrafting blog for a number of years where I've been posting on and off, but wasn't sure if I'd have the time to keep up with both. I have a few hobbies and little spare time so I often cycle through these on a week to week or month to month basis, but I love following the online sewing community and decided to give it a try. I think it's appropriate to start things off with a story of how I started sewing. I grew up in a household where sewing machine was a standard appliance. My great grandmother and grandmother sewed for fun, my dad made a living for a while as a tailor and worked magic with leather. I knew how to work a sewing machine at a young age and on occasion made little doll clothes. However, by the time I was in my teens I couldn't even remember how to thread a machine. I did buy a basic machine when I moved into my house after college and needed to make some curtains, but I shied away from clothing. I actually made one attempt at making a silky robe because I've had my eyes on one for months, but the "one size fits all" sizing in stores is comical for someone petite. Well, I bought some slippery poly fabric, cut it out without any type of a pattern, basically eyeballing it. I had no patience and as you can guess, the result wasn't pretty. I didn't even finish it, but I still have those scraps somewhere as a reminder. I was put off from garment sewing and it wasn't until my 30s when I finally decided to give it a real go. 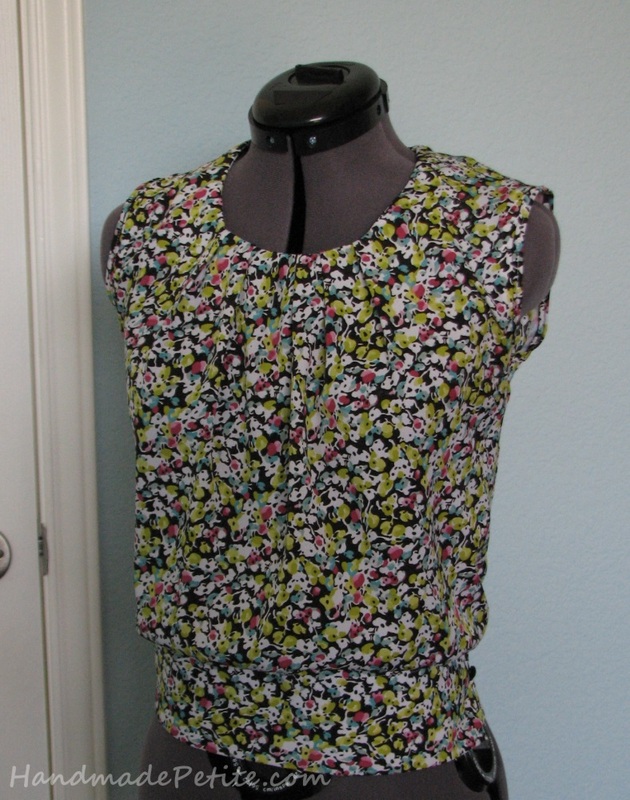 I can't recall if I came across something online first or I had an epiphany when I noticed sewing patterns at Joann's that reminded me of my grandma's sewing, but one day I bought a Simplicity 2892 blouse pattern and drapy poly fabric and decided the time healed of wounds and I can make something wearable. I knew so little at that point, I'm still shocked that what I made was a cute, totally wearable top. I didn't even make a muslin since at the time the concept was foreign to me. To this day I'm glad that I pulled it off because I'm pretty sure if that attempt failed, I'd never try again. The top is not perfect, but I still wear it to this day. What's more important, I got hooked on garment sewing. I discovered Craftsy and took a bunch of their classes, I read blogs, I practiced. I learned that you can't sew without pressing, I discovered knits, I was adventurous enough to make a cashmere coat within my first year never having tried or read about outerwear sewing (more on that later), I stared adjusting patterns to improve fit and I realized that often times altering something from the store is more time consuming than sewing it from scratch. I've still so much more to learn and I'm exited to share the journey with you. Thanks for reading and check out "About Me" section to get to know me a little bit better.